Cashel Company’s Caveson Channel is a foam pad carefully grooved down the middle to solve the age old problem of rubbing and chafing underneath the caveson. 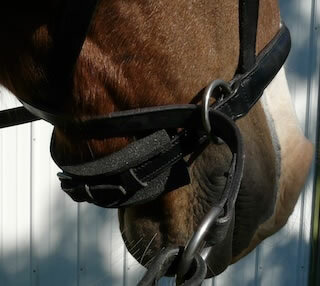 Great for adding additional comfort under the chinstrap or bridle crown when using the Dr. Cook Bitless Bridle. Nice for horses with sensitive faces. Stays in place due to the innovative channel design. Hand Wash 1 ½ “ wide, 3/4” thick and 12” long, can be cut to desired length.